Montreal-based paper La Presse has printed its final paper edition today, marking the end of the 133 year old daily. But life goes on and keeps surging for its online iPad edition, whose readership keeps growing. Managing editor, Éric Trottier, told the Montreal Gazette in an interview the iPad edition of La Presse continues to grow, as daily readership nears 270,000, already surpassing the print edition at its height. 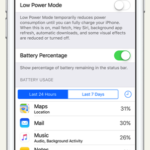 These daily iPad readers spend about 40 minutes reading the digital paper, compared to print readers at 25 minutes. With printing presses now eliminated, the sole focus has turned towards the digital paper, which launched exclusively on iPad in 2013. Back then, the print version of La Presse had a circulation of 210,000. “This is the last step in an ongoing process, but for us, it’s the beginning of a new adventure, which is the digital adventure,” Trottier said. While 158 jobs were lost two years ago when the paper stopped printing on weekdays, and this summer (49 jobs lost) when it was announced its print edition would end on Dec. 30, overall, staffing numbers have increased. Trottier says they have added reporters, now totalling 235, versus the 195 they had in 2010. “I’m not at all nostalgic about giving up the paper edition,” explained Trottier, who says the majority of their journalists, in their early 30s, have never even subscribed to print newspapers. While La Presse is booming, others in the media industry have not fared as well. The Toronto Star tried their own iPad edition based on La Presse’s technology, but abandoned their strategy this June, a costly $20 million experiment. Star Touch for iPad only gained 80,000 readers for its tablet edition, out of the Greater Toronto Area online readership of 550,000. Trottier says “I’m optimistic about the future of journalism,” noting the success of La Presse is rare in a declining media industry. Click here to download La Presse for iPad in the App Store. 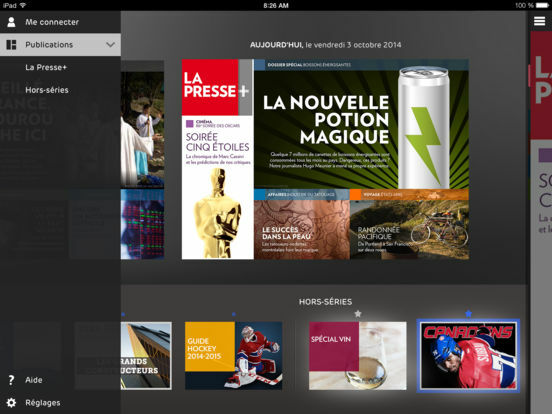 Are you reading La Presse on your iPad?